Ok, that headline is a tiny bit misleading, even if it is true. Casey Affleck is set to play a character called Stoner, rather than following in Cheech & Chong’s footsteps. He’s taking on the title role of William Stoner in the film adaptation of John Williams’ novel, Stoner. Blumhouse Productions, Cohen Media Group (CMG) and Film4 are backing the movie, with Joe Wright (Atonement, Hanna) directing. 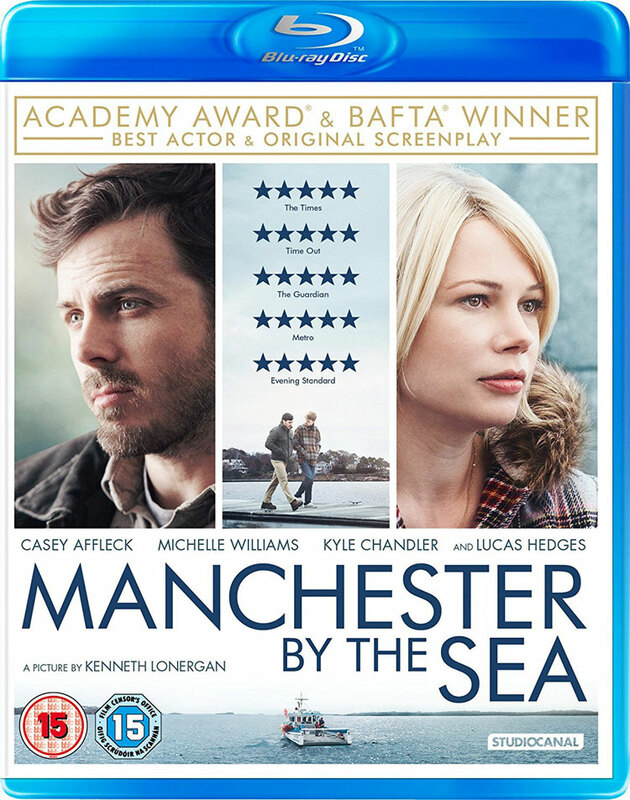 Despite allegations of past sexual assault swirling around Casey Affleck, he picked up the Best Actor Oscar for Manchester By The Sea, with Kenneth Lonergan also winning an Academy Award for Best Original Screenplay. Judging purely from what’s on the screen, you can see why they won, as Affleck puts in an extremely good performance, working from a nicely nuanced script which prizes emotion but tries to avoid cliché. Ain’t Them Bodies Saints helmer David Lowery went full-on Hollywood last year with a reimagining of Disney’s Pete’s Dragon. After that though he’s snuck in something rather more low-key, A Ghost Story, which got a tremendous reception when it debuted at Sundance. Well, writers have something new to include when it comes to Oscars biggest gaffes and bloopers – and this one will probably top the list for a very long time. Faye Dunaway read out that La La Land had won the Best Picture Oscar, the producers came up to the stage, and then, partway through the acceptance speeches, they were interrupted to be told, actually no, it was Moonlight that was the big winner. The mistake came about due to Dunaway and Warren Beatty being handed the wrong envelope, which read ‘Emma Stone – La La Land’. It was presumably was a duplicate of the Best Actress envelope, as Stone did win for that one. Despite a pause and Stone’s name being there, Dunaway decided to read it anyway. After the mix-up, surprise winner Moonlight went off to gets its Best Picture gong. It’s impressive for a movie few had heard of before its release, and is about the sort of character – young, black, poor and gay – that the Academy Awards usually give short shrift to. However, perhaps thanks to the Academy’s diversity drive this year, where they set out to invite people from groups traditionally under-represented in the Oscar voting pool to become members, it has triumphed. Some has also suggested it perhaps partially redresses the balance after the gay-themed Brokeback Mountain lost out on the Best Picture to the now half-forgotten Crash, despite winning Best Director for Ang Lee. Moonlight now becomes the first gay-themed movie to win the Academy’s biggest prize. Moonlight also picked up Best Supporting Actor for Mahershala Ali and Best Adapted Screenplay for Barry Jenkins. Ali’s win also marked the first time a Muslim has taken an acting Oscar. While La La Land had the Best Picture Oscar taken from its hands – literally – which probably tarnished the evening for them, the movie did win more awards than any other film, six in total. That includes Damien Chazelle, who becomes the youngest ever Best Director winner at the age of only 32. 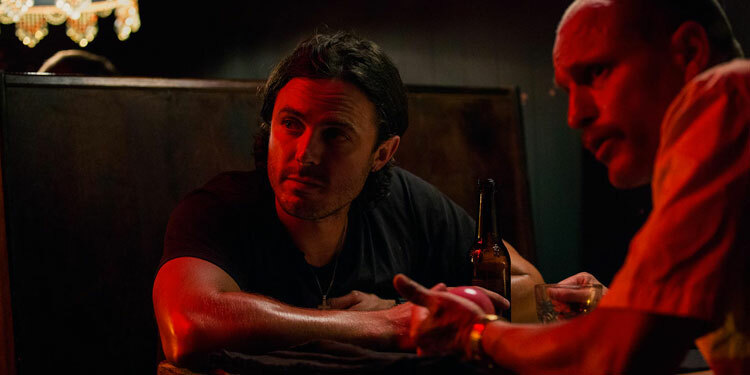 Alongside Stone for Best Actress and Ali for Best Supporting Actor, the other performance gongs went to Casey Affleck who got Best Actor for Manchester By The Sea, and Viola Davis who picked up Best Supporting Actress for Fences. Davis’ win also puts her in the exclusive club of those who’ve won an Oscar, an Emmy and a Tony award. 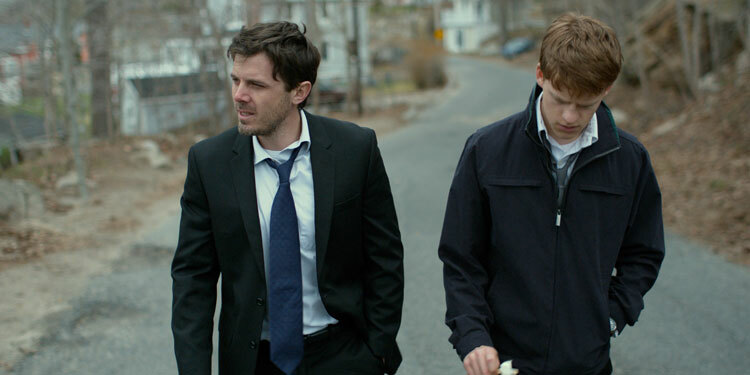 Manchester By The Sea got rave reviews when it debuted at Sundance, with some people immediately putting it in the Oscars race. Indeed, distributors Amazon Studios and Roadside Attractions must agree, as they’ve given is an awards friendly November US release slot. As the cast came together for Triple 9, it couldn’t help but feel this was going to be one hell of a movie. With the director of The Road and Lawless behind the camera, and a cast including Casey Affleck, Aaron Paul Kate Winslet, Chiwetel Ejiofor, Anthony Mackie, Gal Gadot, Norman Reedus, Teresa Palmer, Clifton Collins Jr. and Woody Harrelson, it certainly has plenty of pedigree. Chris Pine, CaseyAflleck, Ben Foster, Holliday Grainger and Eric Bana are getting heroic in the true-life tale with The Finest Hours, which now has a new trailer. Disney will release the movie in cinemas early next year. 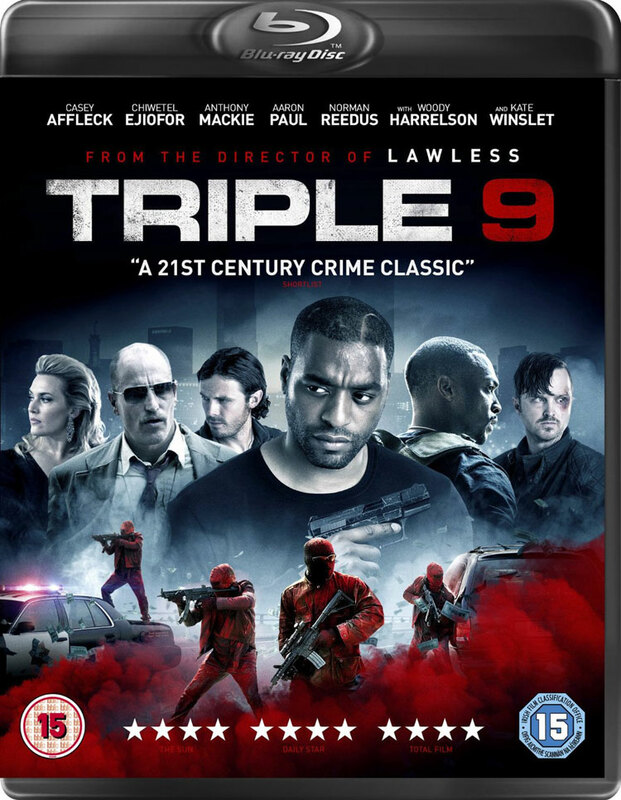 Triple 9, from The Road and Lawless director John Hillcoat certainly has a good cast, including Chiwetel Ejiofor, Casey Affleck, Kate Winslet, Woody Harrelson, Aaron Paul, Anthony Mackie, Norman Reedus, Gal Gadot and Clifton Collins Jr.
Now we get our first taste with a trailer, which you can watch below. The film is due out in the UK on February 19th, 2016. Chris Pine hasn’t had a huge amount of luck as a leading man outside the Star Trek franchise – and in his case it really does seem like bad luck, as he is pretty good. He’ll be hoping for a hit with The Finest Hours, which looks like it’ll be mixing action, pathos and a bit of a period feel. Here’s the synopsis: ‘In February of 1952, one of the worst storms to ever hit the East Coast struck New England, damaging an oil tanker off the coast of Cape Cod and literally ripping it in half. On a small lifeboat faced with frigid temperatures and 70-foot high waves, four members of the Coast Guard set out to rescue the more than 30 stranded sailors trapped aboard the rapidly-sinking vessel.